Jumbo Shrimp, scallop, mussels, stir fried with celery, onion, red bell pepper, snow peas, scallion, shitake mushrooms in a delicious curry sauce. 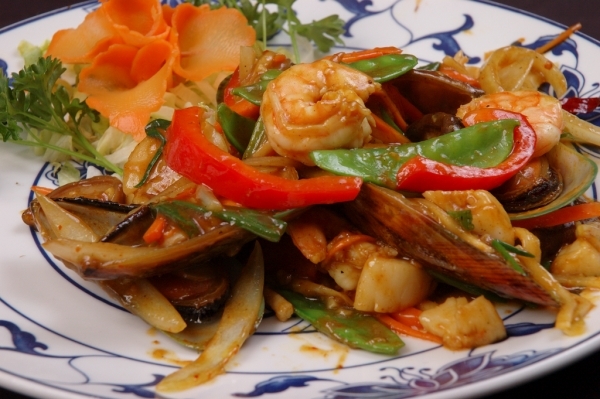 Jumbo shrimp, scallop with snow peas, baby corn, red bell pepper & other vegetable cooked with thai spicy garlic sauce. Grilled chicken served with fresh steam vegetables, then thai spicy peanut garlic sauce. 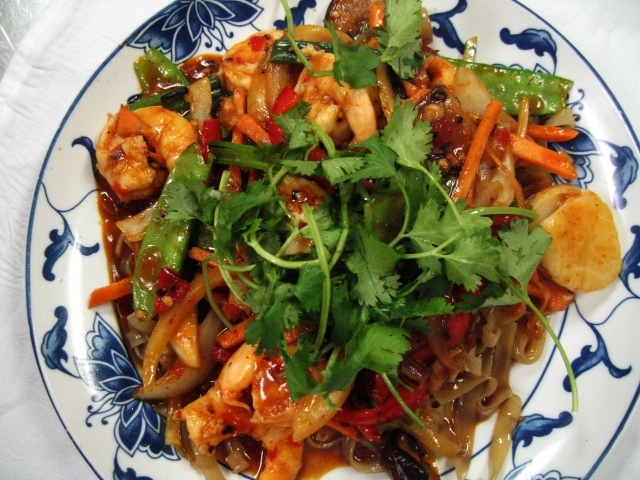 Jumbo Shrimp sautee with snow peas, red bell pepper, onion, carrot strips, shitake mushrooms in a lemongrass and spicy garlic sauce. 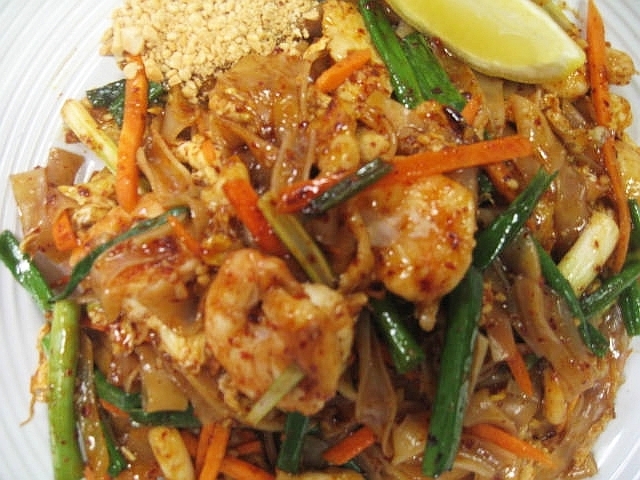 Jumbo shrimp with fresh garlic, slice waterchestnuts, scallion sauteed with thai spicy garlic pepper sauce. 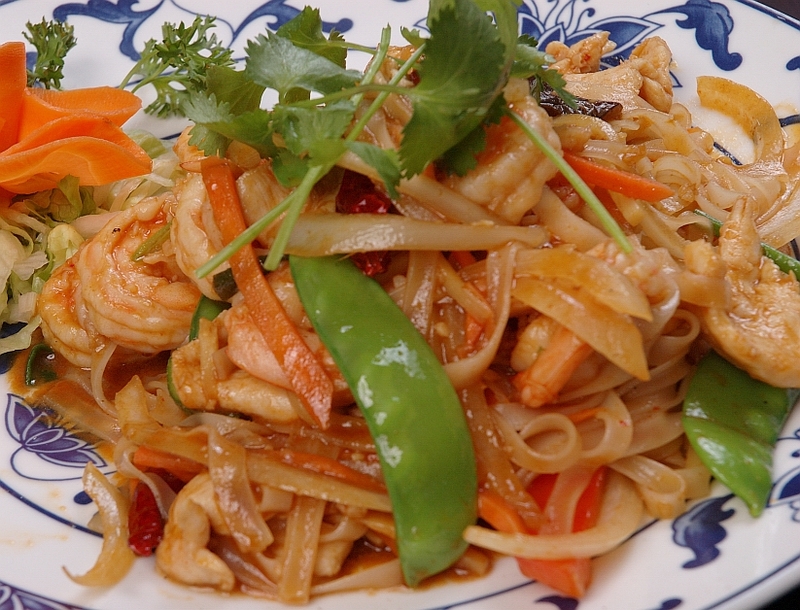 Jumbo shrimp, orange Roughy, chicken breast sautee with fresh basil leaves, scallion, yellow onion in a spicy garlic sauce. Red Snapper, light breaded, cooked with red curry, coconut sauce, served with steam vegetables. 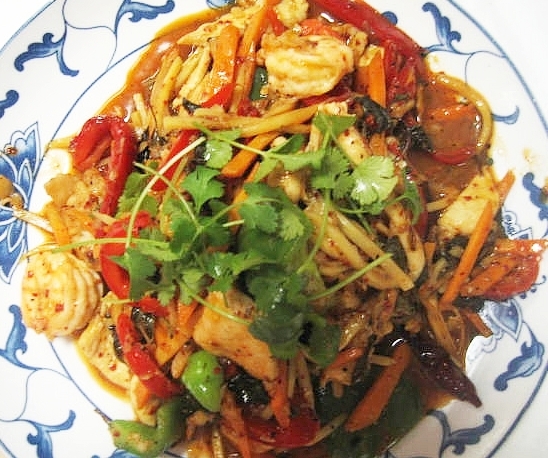 Thai Seafood medley (mild-hot with curry garlic basil sauce, jumbo shrimp, calamari, sea scallops and light vegetables. 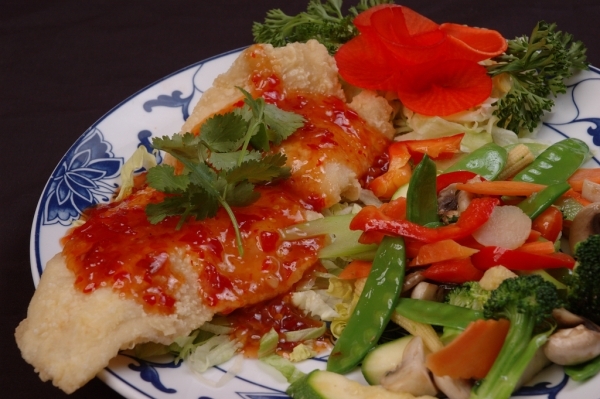 Lightly breaded orange roughy deep fried to perfection and crispy in thai chili garlic sauce, served with fresh steam vegetables. 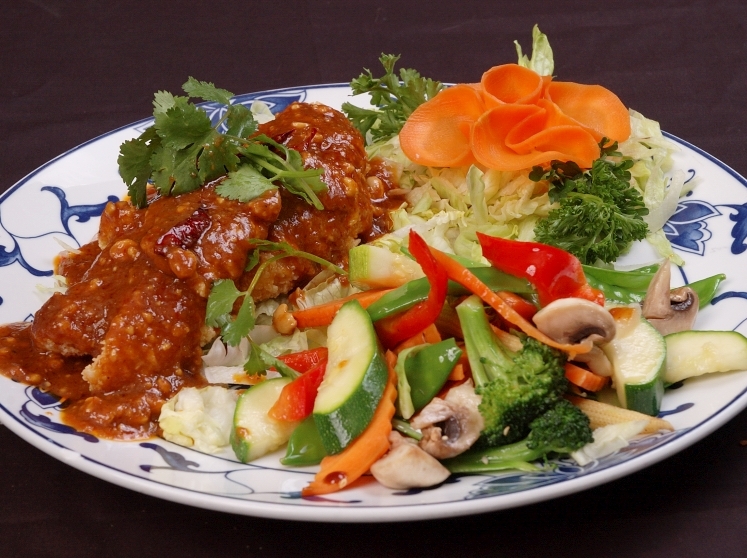 Mahi mahi light breaded, cooked wth thai chili garlic sauce, served with steam vegetables.